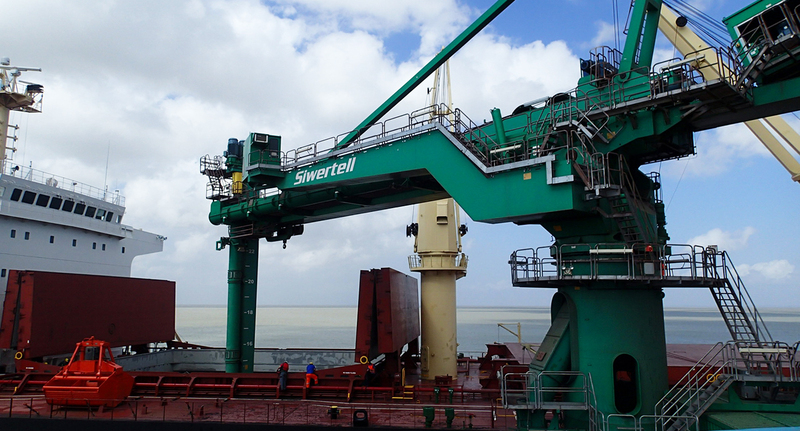 A Siwertell ST-790D ship unloader’s relatively light weight makes it the ideal solution for a jetty with limited load bearing capacity handling ships that provide the coal supply for the 360MW MPX Itaqui power plant in Brazil. UTE Porto do Itaqui Geracão de Energia SA needed a ship unloader to supply coal for its power plant near Porto do Itaqui, Sao Luis, Maranhão State, Brazil. A limiting factor those tendering for the contract was the specification of the existing jetty and its inability to support very heavy machinery. 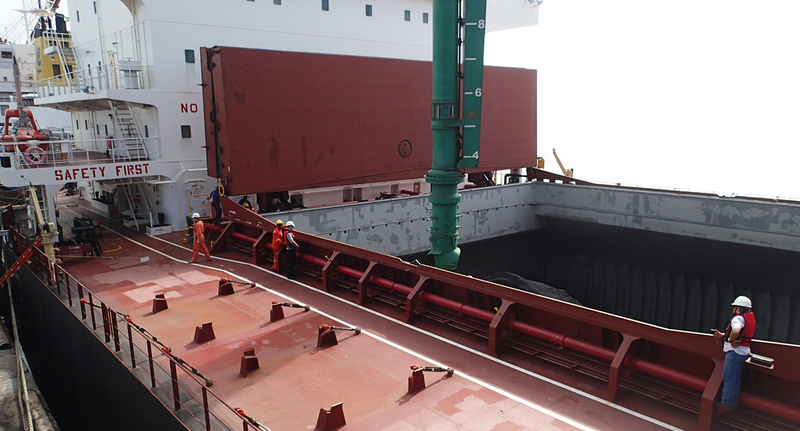 The customer wanted an unloader that could offer high capacity and excellent through-ship performance for discharging vessels of between 30,000 and 100,000 dwt. It also had to be efficient to limit running costs and clean to provide a good working environment and to respect the surrounding area. 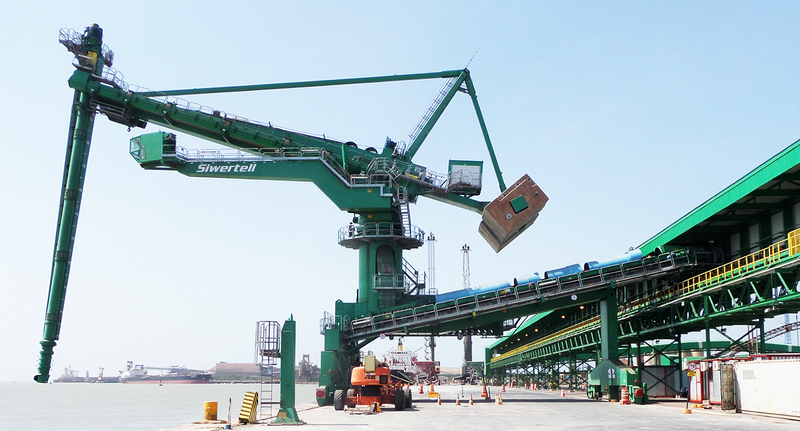 The customer chose the Siwertell ST-790D ship unloader because it complied with all its requirements. With its slim design it weighs only 628 tonnes and so has low wheel loads. Therefore, the existing jetty could comfortably support it without the need for expensive and time consuming jetty upgrade operations. 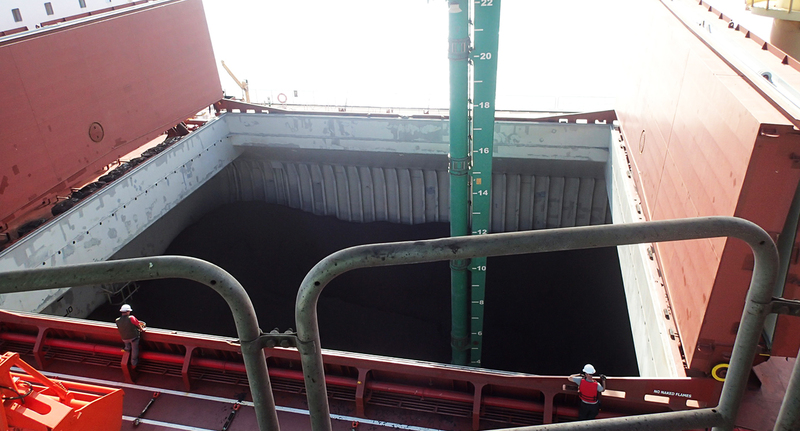 Despite its low weight, the Siwertell machine has a rated coal capacity of 1,000t/h with exceptional through-ship capabilities. It also benefits from the high efficiency standards that are typical of Siwertell equipment, keeping operating costs down. Its enclosed screw-type design means there is no wasteful spillage and dust creation is kept to a minimum. Following its tendering process, UTE Porto do Itaqui Geracão de Energia SA identified the right equipment to provide the performance it needed without having to modify its jetty. 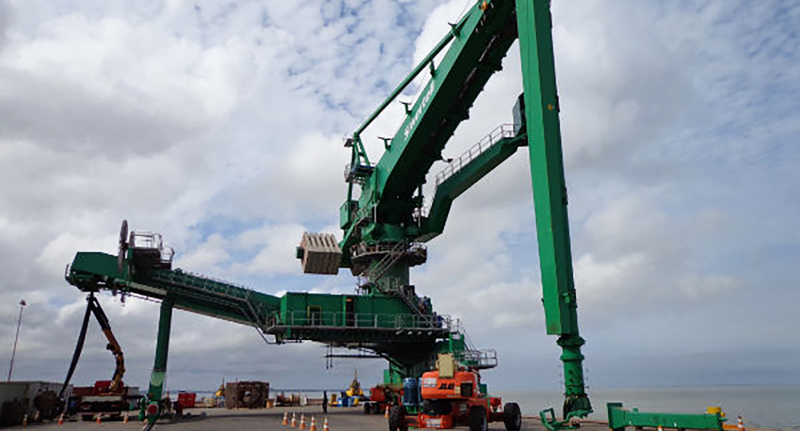 Designed in Sweden and manufactured in Sweden, Europe and China, the unloader was delivered in parts (some pre-assembled) for final assembly in Porto do Itaqui. 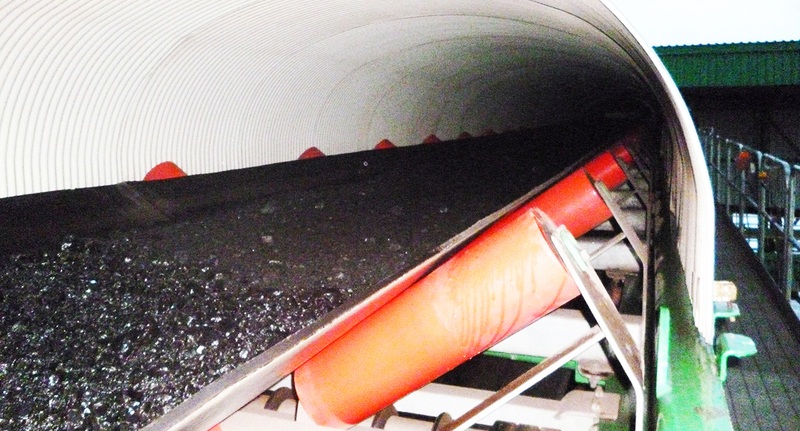 Working in close cooperation with the customer, Siwertell addressed various local challenges and the unloader was commissioned at the end of 2013. 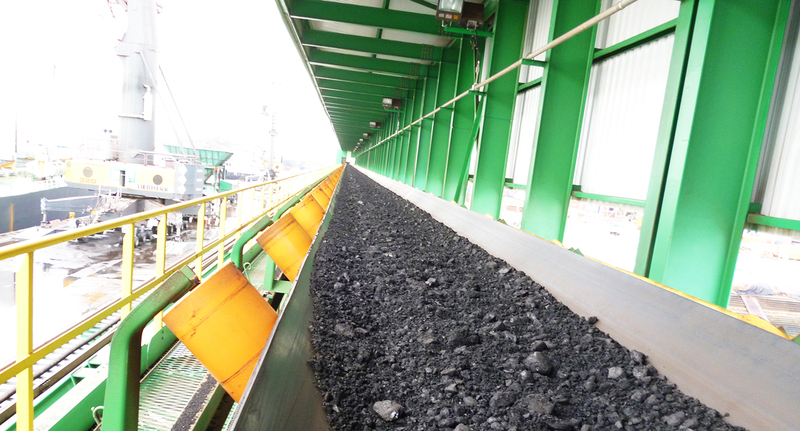 Since then it has been discharging coal onto a 6km-long belt conveyor running from the port to the power plant’s coal yard. The customer is very satisfied with the unloader and the expertise displayed by Siwertell personnel. Initial operation and maintenance support services were provided, covering the startup period and was followed up by regular service visits during the first year of operation. UTE Porto do Itaqui Geracão de Energia S.A.